Not everyone gets a chance to go inside the Lichgate cottage and so to more fully understand Laura's home we will adding to this page over time as we show you the more interesting parts of her private world. The HD photograph of the interior to the left is the work of a gifted photographer named David Hawkins. 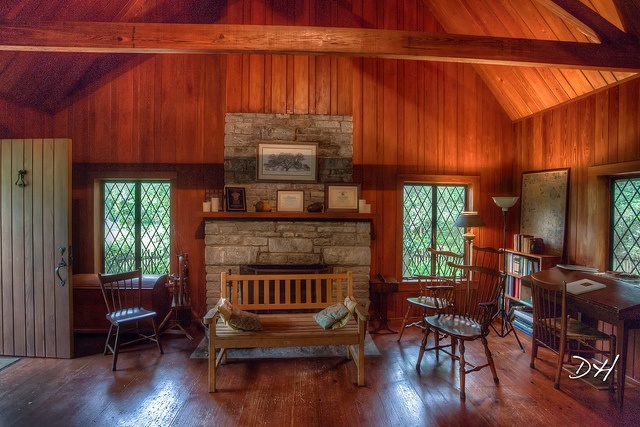 I had the pleasure of meeting him the day he photographed the interior of the cottage. You can see more of his works including an album about Lichgate by visiting his Flickr album. 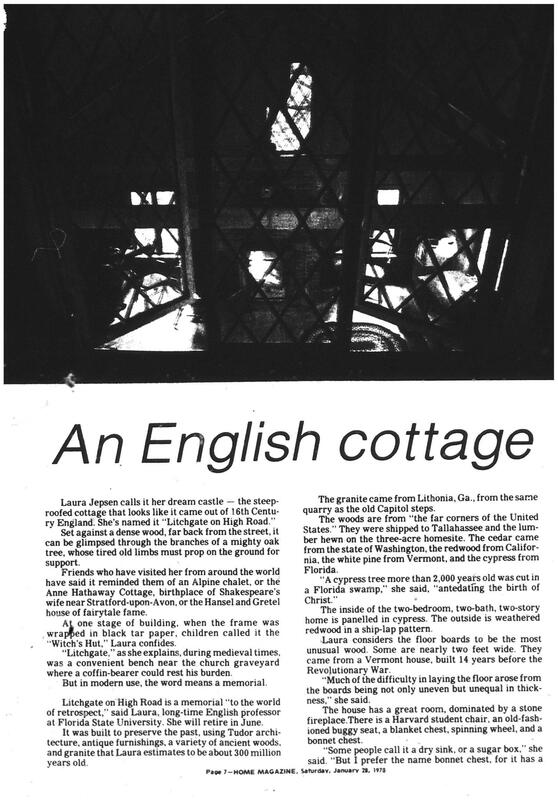 So how what did Laura tell us of the interior of the cottage? 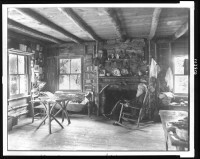 In her book called Lichgate on High Road, Laura wrote the following, "now furnished with several antiques to accompany the replicas of early Americana: a dove-tailed blanket chest, a wagon seat on legs, a hand-carved arrow-back chair, a Harvard student writing-arm chair, a spinning wheel (“Adam delved and Eve span”), and a bonnet chest with a drawer to hold m’lady’s hat pins and ribbons—I prefer to call it a bonnet chest, though some call it a dry sink and others a sugar box. These old pieces, aged to a mellow glow, are, like their neighbors, innocent of paint. Lest one become oblivious of time, on the mantel an old Seth Thoma s clock, depicting peasants carrying faggots on their backs in the snow, strikes the hour." 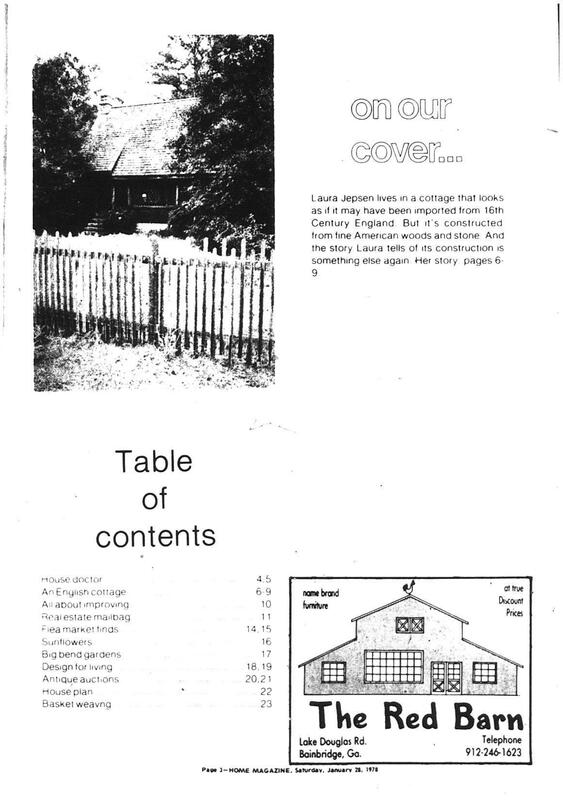 We have little in the way of photographs or even of pictures of how the cottage looked when Laura lived there. But in midst of this desert of information, we are blessed with one resource. 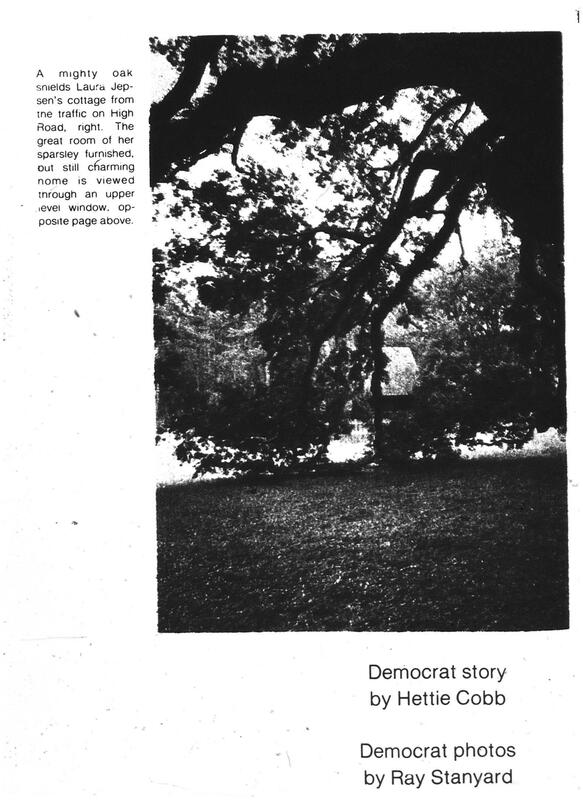 In 1978, Laura was interviewed by the Tallahassee Democrat and the result was an six page article in the Homes insert of the newspaper. 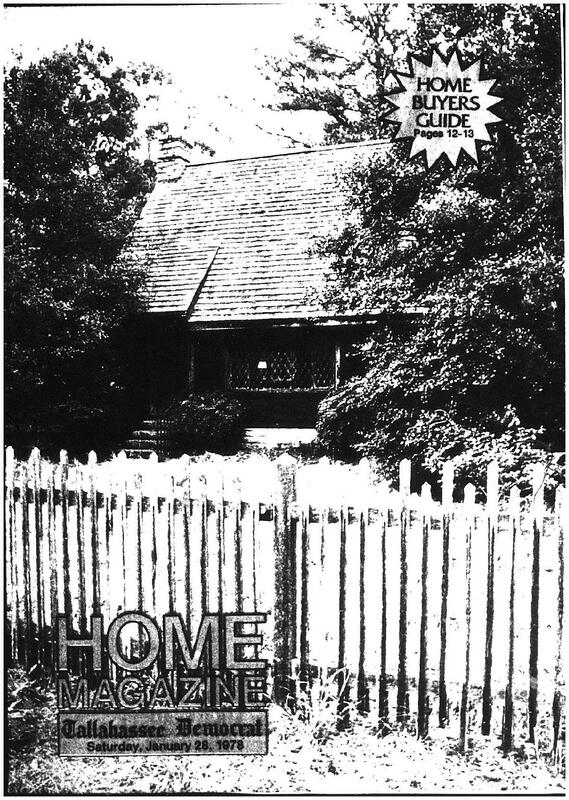 Unfortunately the only copy of it isn't the best quality, but it is still amazing to see how the cottage looked when Laura lived there. 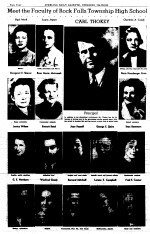 View the complete PDF or images of the Cover, Inside Cover, Page 6, Page 7, Page 8, and Page 9 of the article. 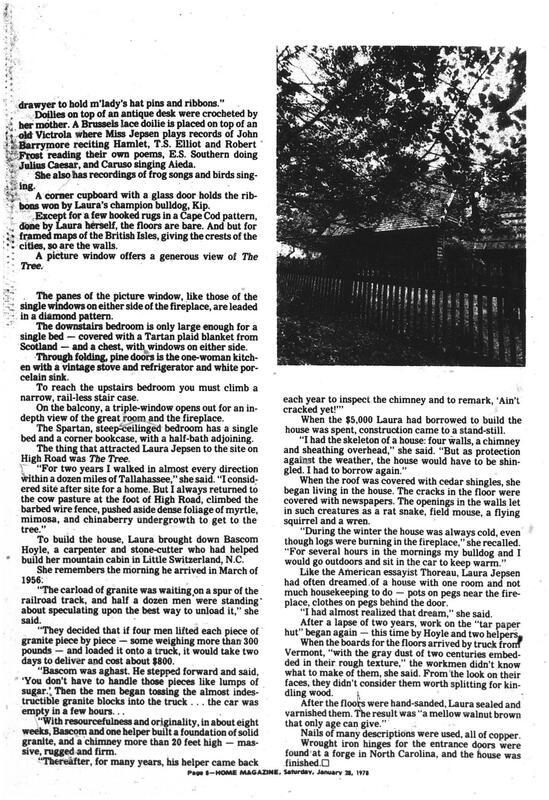 Laura speaks about the doors and their hardware in Chapter 10 of her book about the cottage called, Lichgate on High Road. There she says that "The front door swung open on H and L hinges from a forge in North Carolina and lamps from the same iron-forge lighted the way to the dwelling" Despite extensive research I have been unable to locate the exact forge she writes about but I can glean a bit from these few words to share. 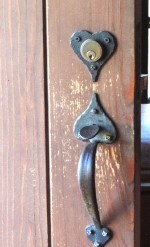 The H and L hinges she refers to are a type of hinge used extensively in early America for hanging heavy doors or gates. The name comes from their appearance as you can see in the picture to the right with the letters H and L plainly visible. 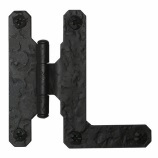 An old wives' tale exists that the H and L stand for Holy Lord and that the use of the hinges creates a barrier to witches and evil influences for both this and the iron of which they are made. Though the hinges and door hardware are original, the doors themselves have been replaced after they were damaged during the vandalism that occurred at the cottage just before Laura's death when she was away. The door locks are rather unique. For those of us who study Laura and her life, we see her as often somber, almost austere, so the heart-shaped locks have always been a window to a more gentle side of her. Lichgate lore says the door hardware came from the same forge as the hinges and exterior lantern lights. This may very well be so, the finish of each is very similar. 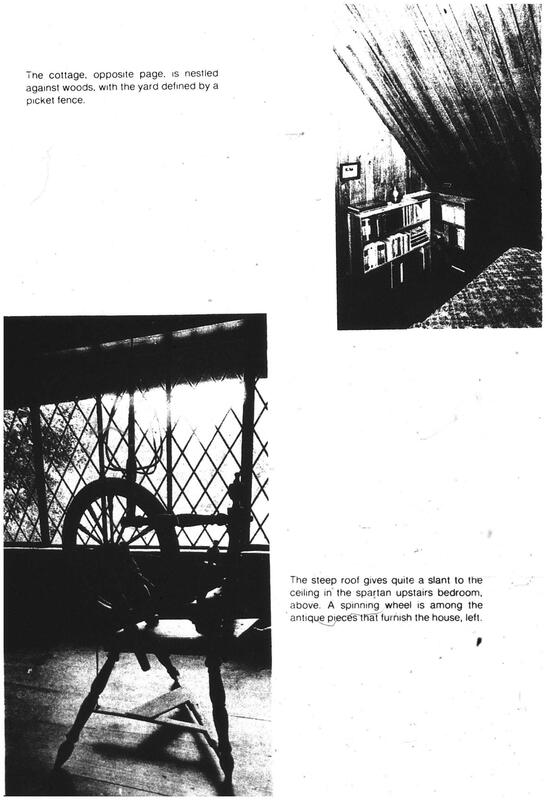 When one enters the Lichgate cottage, you will find the light switch for the front porch light and main room hidden behind a painting of Laura just beside the door. This painting was inspired by and based on a photo of Laura taken from the October 7, 1941 isssue of the Sterling Daily Gazette. 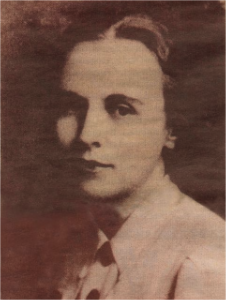 The article was an introduction to the community of the faculty of Rock Falls Township High School and at the time the painting, was made, this was the earliest known photo of Laura. 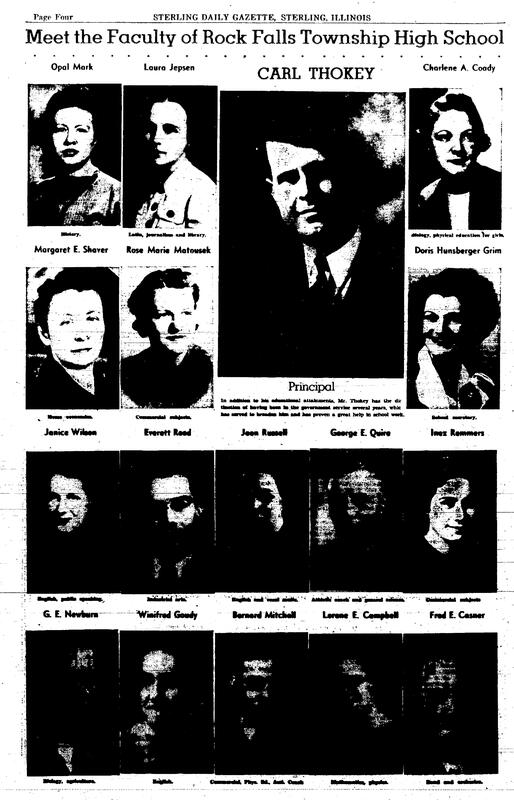 This picture was attached to Laura's 1946 application to the Florida State College, the school that was to become Florida State University in 1947. The painting can be seen in the photo of the interior wall of the cottage above on the far right. One interesting aspect of the picture is how it responds to flash photography. When photographed using a flash the picture has an interesting glow, try it next time you have the chance to visit the cottage. The artist who completed and donated this painting is Marcy Palmer. Marcy is an incredibly talented local actress who has starred in many movies and plays. When Laura was still living, Marcy's son would visit to discuss bulldogs with Laura. Laura owned little art but one of her favorite pieces was an Audubon print now hanging on the wall of the cottage near the back door. This faded print is of the Passenger Pigeon and her choice of this bird was not accidental and in fact connects us to her childhood in Davenport, IA. Laura grew up with the strong presence of a museum in her community. Called the Davenport Academy of Natural Sciences, this museum worked closely with the surrounding schools to promote an interest in nature. 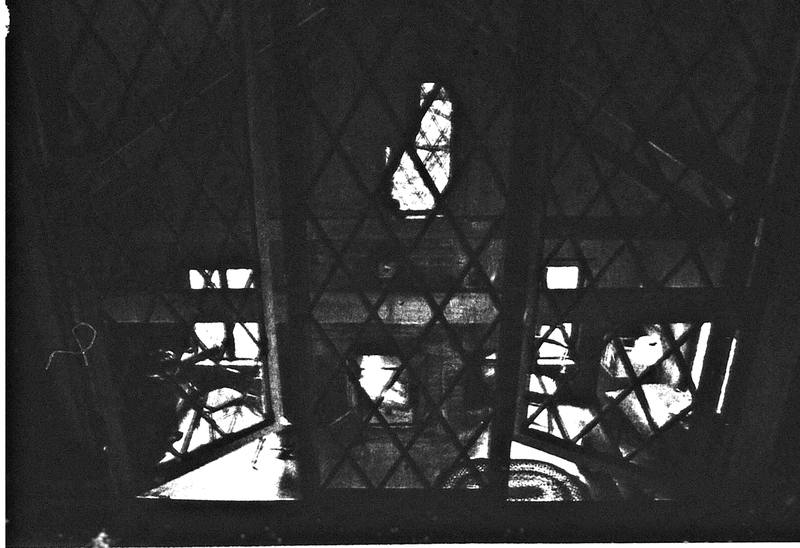 To this end the main floor of the Academy contained glass cases housing approximately 500 mounted birds from the local area, (Page 24). Among these were 4 passenger pigeons, specimens still on display today. We know Laura loved birds and this affection most likely grew from her time at the Academy. We also know that Laura wanted to preserve the past and in fact said so in her last book, "To conquer time, to preserve the essence of the past, to escape into reality, these were my triple desires when I started to build Lichgate." so keeping a reminder of something lost, maintaining a memory regardless of how the world moved forward makes the Passenger Pigeon a fitting mascot alongside the Lichgate Oak. One of the few pieces of art in the cottage that did not belong to Laura herself. 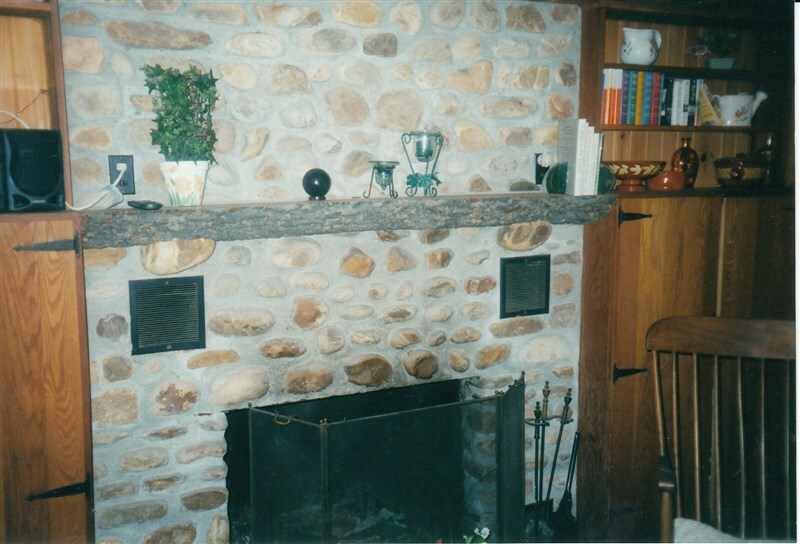 This piece used to hang above the fireplace but has been recently moved to the opposite wall where it replaced a plaque recognizing donors to Lichgate, a plaque now removed. This print was created by the famed pencil artist, Stephen Malkoff and prints are available for sale at his gallery. This print was one in a series completed by the artist who sought to draw nationally historic trees from each of the 50 states and our beloved oak is among them. 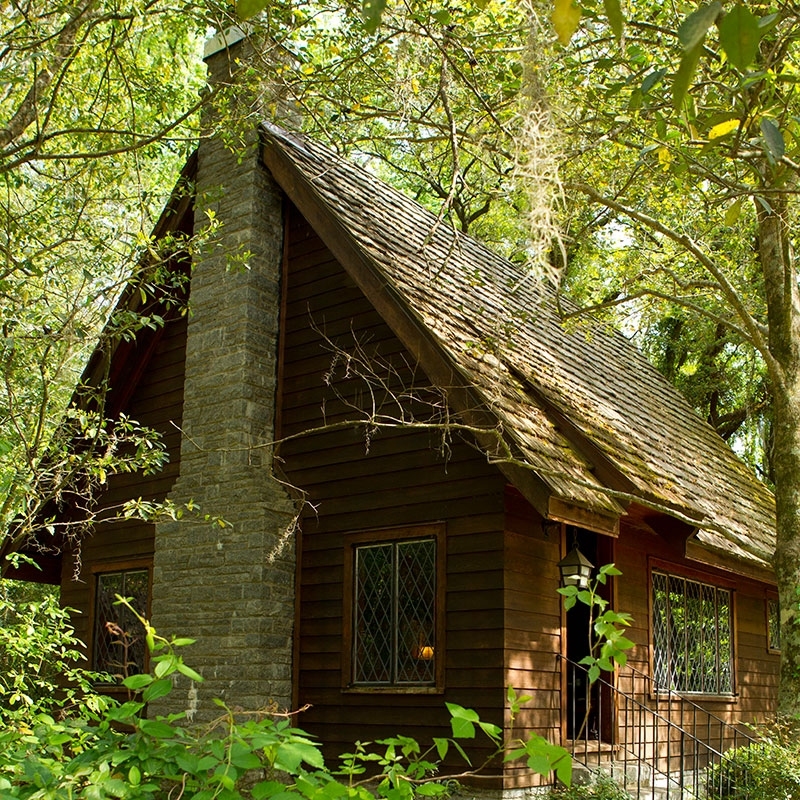 There are five main inspirations for the cottage Laura built. I will follow each below so you can see how her vision grew over the years into the what is now at Lichgate. 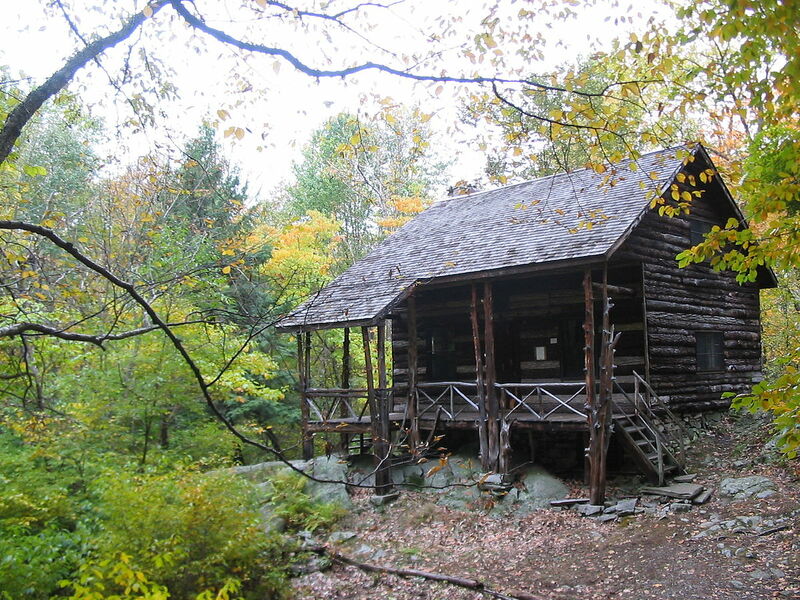 The picture to the right is from the replica of Thoreau's cabin built beside Walden Pond. Laura drew inspiration from this simple structure, replicating the look of the bed and desk in her own home. 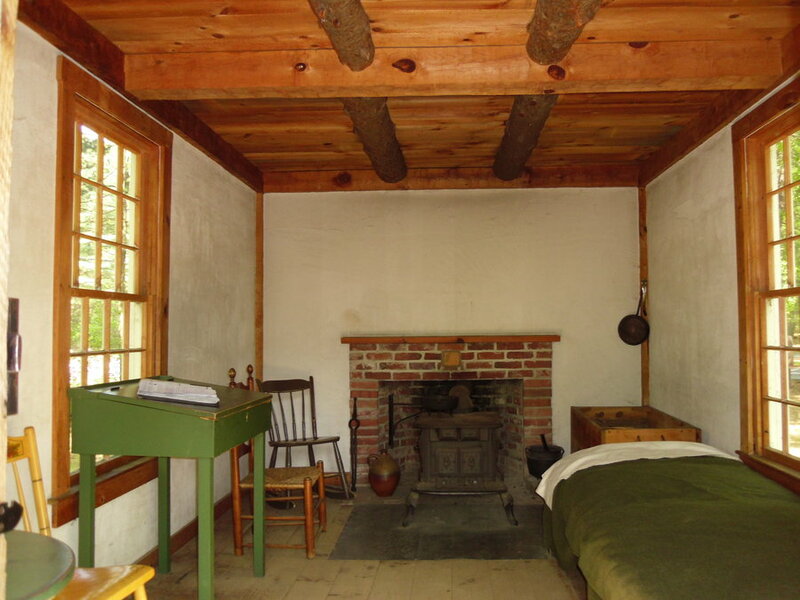 Laura alludes to Thoreau's one room cabin in her last book, Lichgate on High Road when she writes, "I had often dreamed of a house with one room—all the essentials of a house but little of the housekeeping—with pots on pegs near the fireplace and cloaks on pegs behind the door. 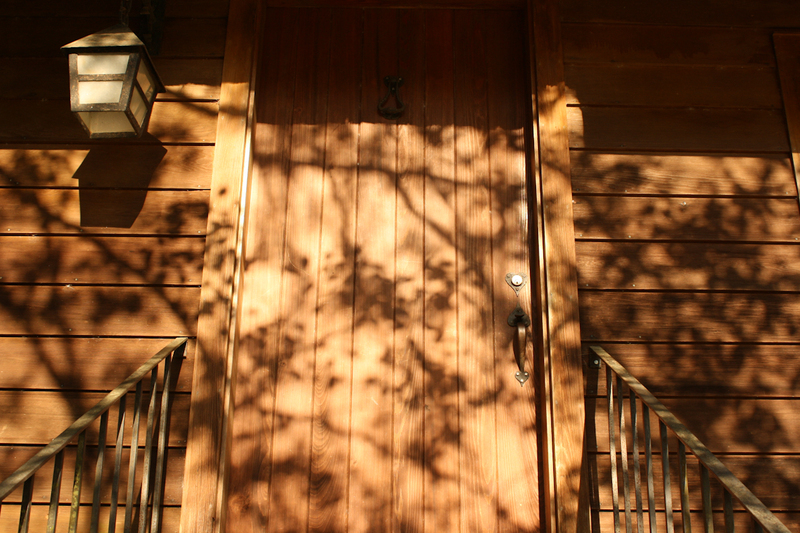 In this my house, as it now stood, with one door leading into and one leading out of the living room—the only, for there were yet no partitions—I had almost realized that dream." 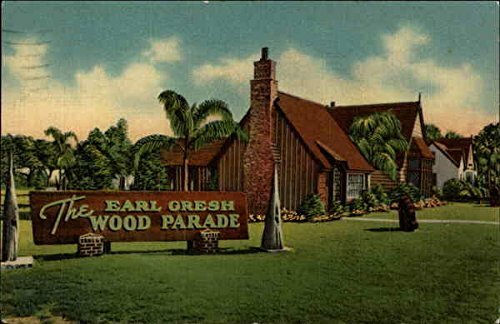 The Wood Parade was a tourist attraction in St. Petersburg, FL that opened in 1939 and featured exotic woods utilized by Earl Gresh in his woodworking crafts. 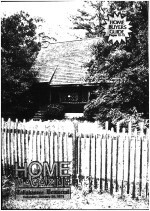 The museum closed in 1959 and for a time Laura considered purchasing the cottage and moving it to Tallahassee. To learn more about that visit this link. 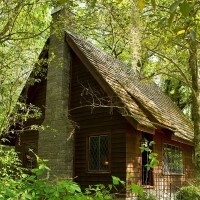 As can be seen from the illustration on the card, the general design of the Lichgate cottage obviously stemmed from her visit to Gresh's shop and she writes, "The little house, constructed by the builders of a museum to display woods of various trees in the world, was, like its neighbor, a model of Tudor architecture, with the steep roof cut away over doors and windows to represent the rood of a thatched cottage and with the tall chimney surmounted by a chimney pot." 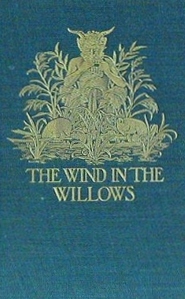 A popular children's tale from Laura's youth, Laura chose to close her last book written in 1982 with a passage from this The Wind in the Willows. In following the various leitmotifs in Laura's writings, I encountered a conversation between two of the characters of this book, Rat & Mole that I believe Laura remembered some 70 years on. While Rat is running around Mole’s home making comments about it he says the following, “”What a capital little house this!” he called out cheerily. So compact! So well-planned! Everything here and everything in its place!” I can picture Laura as a child reading all these words and storing them away for the home she would one day want for herself. 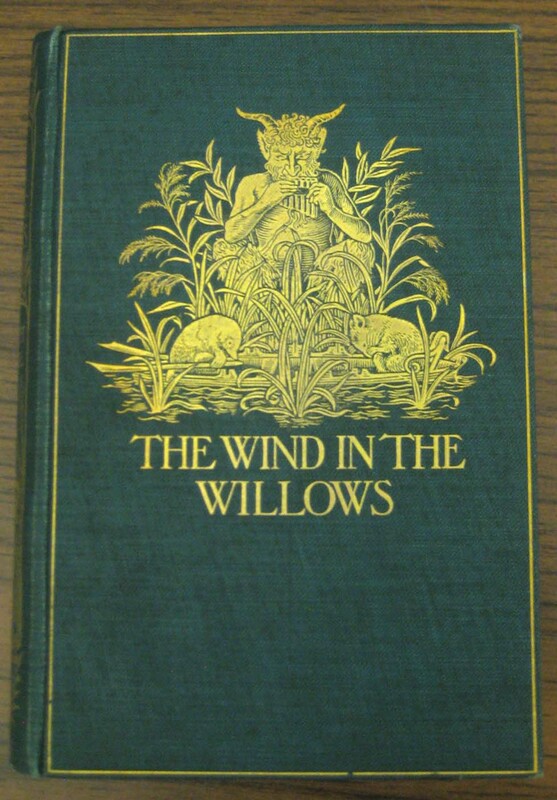 John Burroughs was an early 20th Century naturalist in the vein of Thoreau and an obvious influence on Laura. After his death in 1921, Laura's High School Senior Class of 1925 dedicated their yearbook to him in recognition of his work. 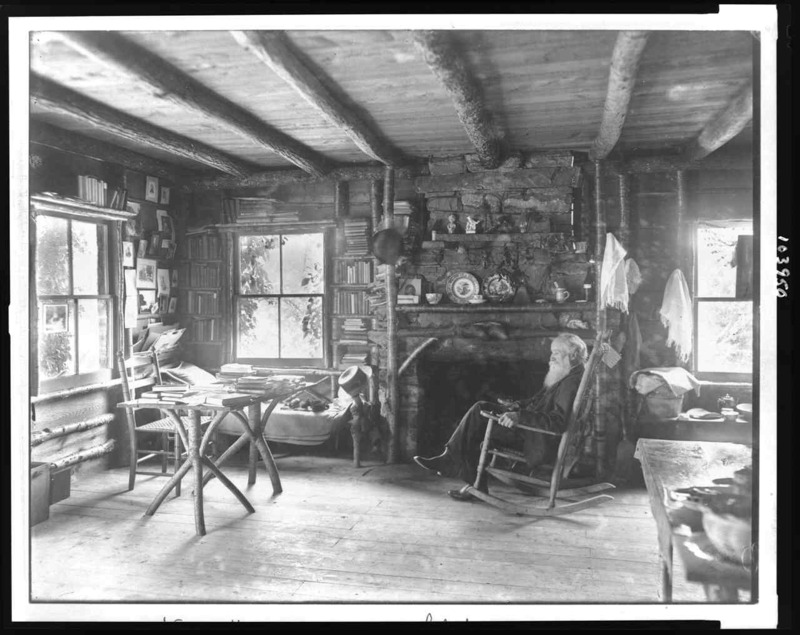 The interior of his cabin bears a bit of resemblance to Laura's own home with the placement of windows and fireplace, love the bookcase surrounding the window on the left of the picture of the interior. Laura disliked the intensity of the Florida Summer and would retreat to a small cabin in North Carolina during the breaks between semesters. 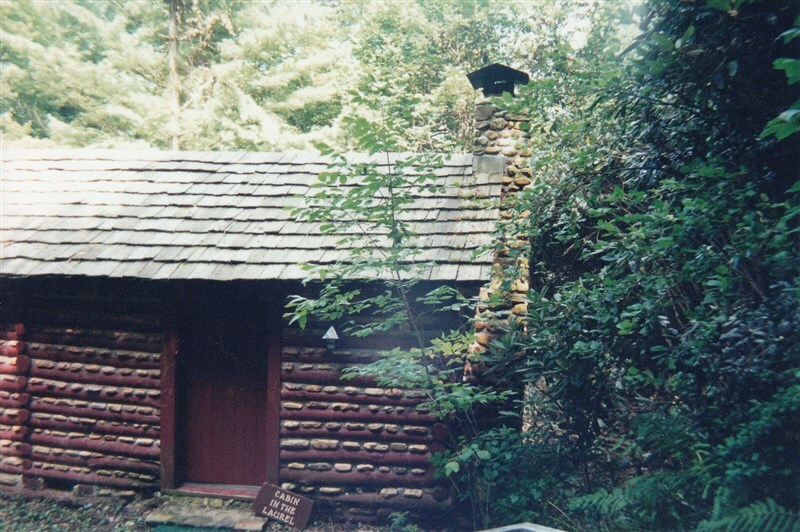 This cabin dated back to the late 1800's and was moved from one side of a mountain to another by the same stone mason who would later come to Tallahassee to build the Lichgate cottage for her, Bascom Hoyle. The Lichgate lore says this was a former writing desk from Harvard University. 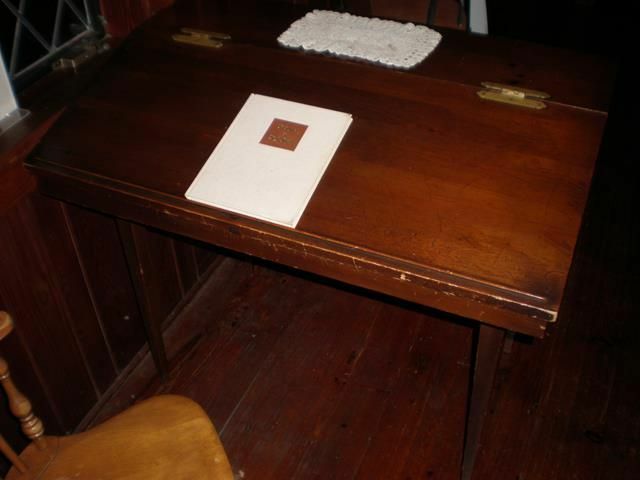 It is a simple desk, very similar to the one in Thoreau's cabin and upon examination, has no marks to assist in dating it. My best search based on its design and style places it from the mid 1920's. 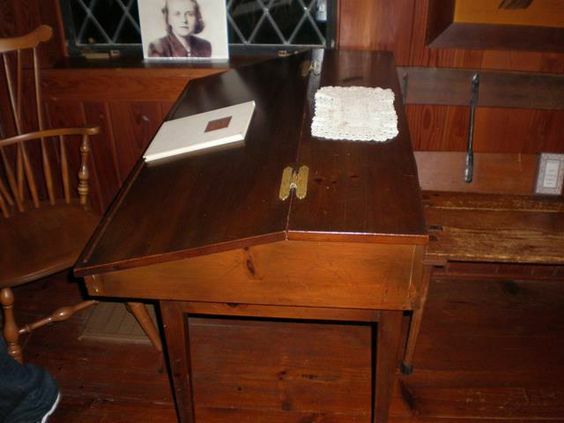 Laura had this desk facing the window behind and instead of chair, would sit on a bench to write on its top. The book on top of the desk in the picture is Laura's last written in 1981 and entitled, Lichgate on High Road. You can get a dim view of how the desk appeared in Laura's home on Page 7 of the Tallahassee Democrat article mentioned above. The view in the picture there is through Laura's Juilet Window looking downstairs into the main room. You can find an enhanced image here. 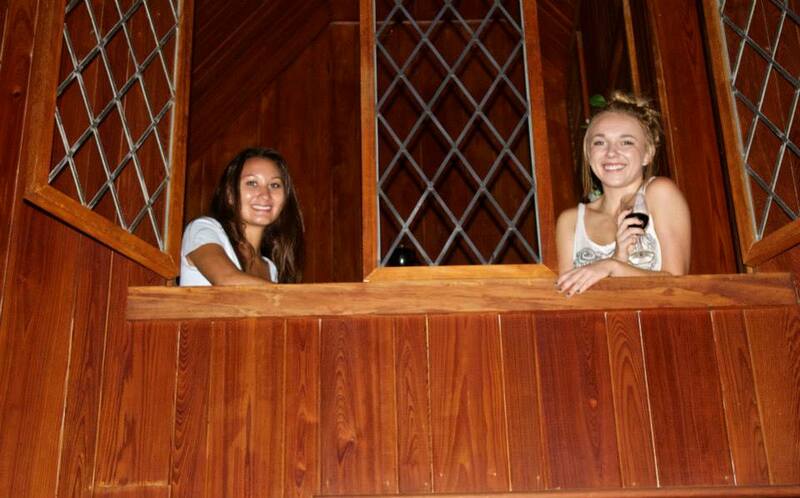 There is an upstairs window inside the cottage seperating Laura's upstairs bedroom from the downstairs main room. Lichgate lore has it that this window is a Juliet window in homage to her favorite bard, Shakespeare. 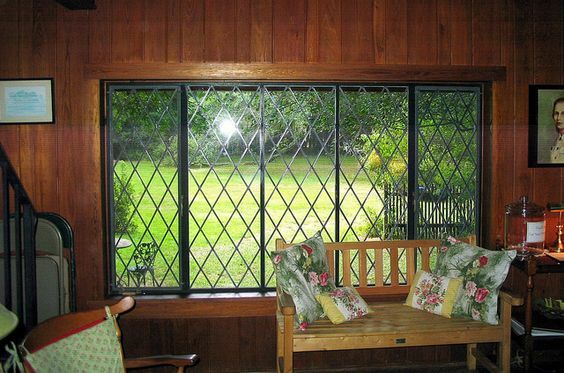 When Laura resided in the cottage, this window would have allowed light and air into the small upstairs area, something she mentions in her correspondence with Marion, her lifelong friend.